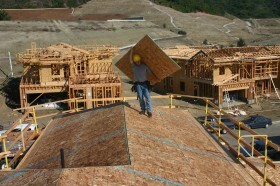 Roof line fall protection has been installed, and is providing an OSHA acknowledged system for workers to safely and efficiently complete all work at and above the roof line. Once The WHALEN-JACK system is installed it will eliminate the workers need to be in fall arrest systems. 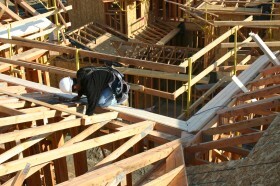 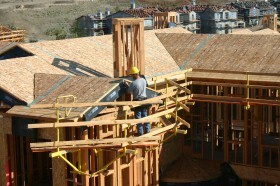 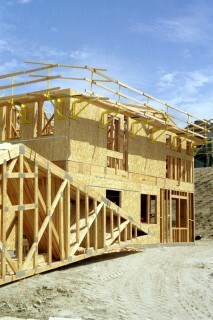 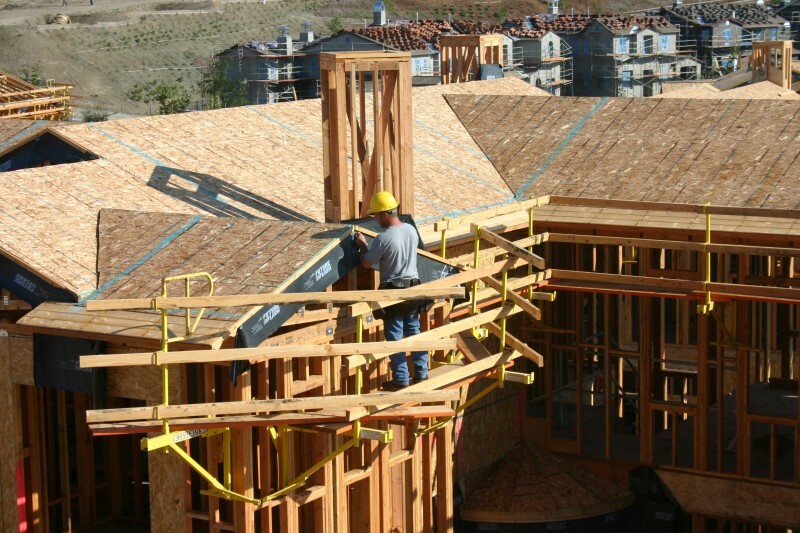 Workers have a safe platform to recieve and install trusses. 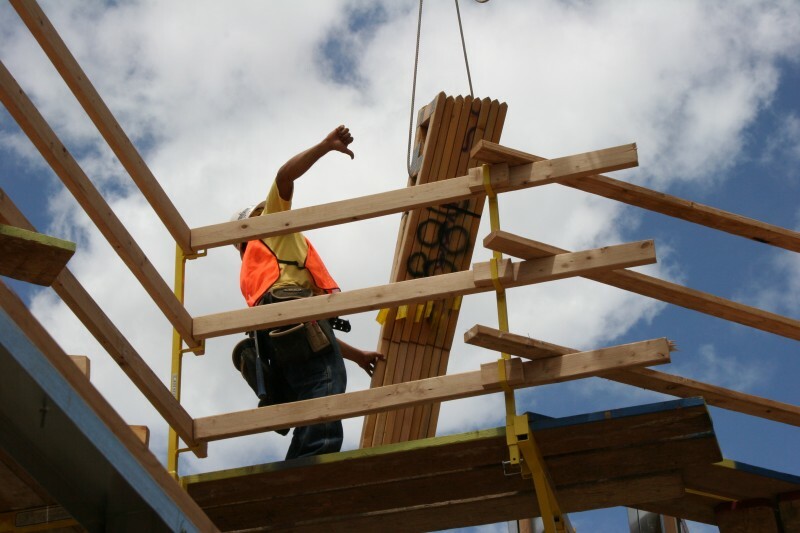 Eave blocking is at an ergonomically favorable height and is safely and easily installed. 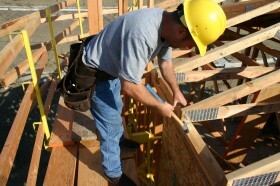 All necessary roof hardware can be installed. 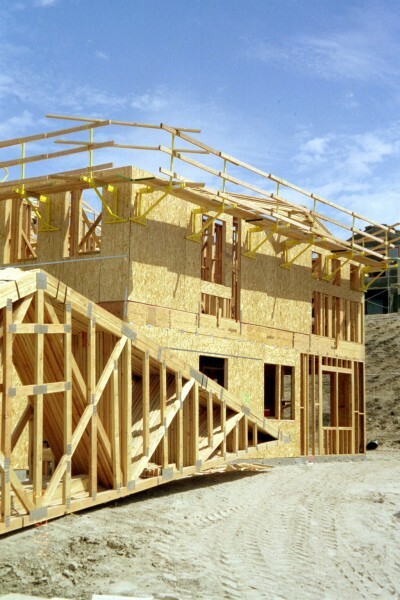 Eave sheeting is at an ergonomically favorable height and is safely and easily installed. 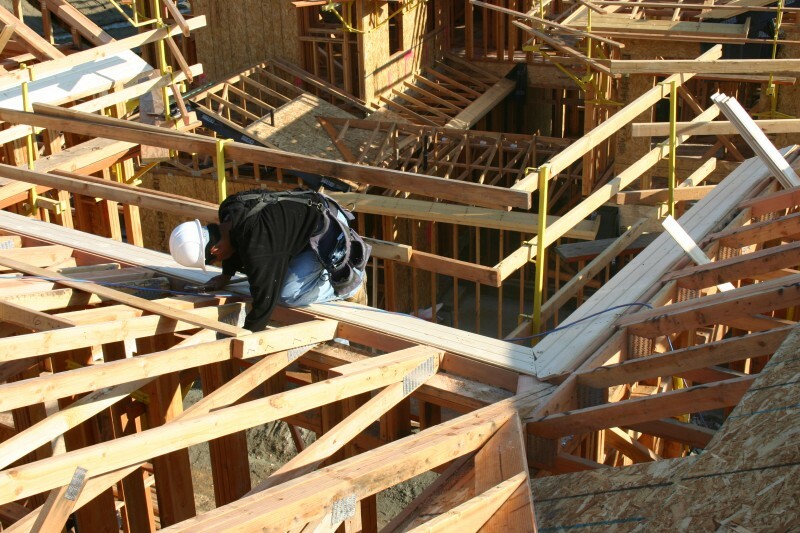 The WHALEN-JACK system is providing a complete fall protection system at the exterior of the building allowing workers to complete sheeting, gutters and roofing safely and efficiently without the use of lanyards or other fall arrest systems. All exterior roof work including fascia, paper, and gutters can be installed safely and efficiently.